On his Fox show on August 30th, Glenn Beck made an amazing statement about keeping his word regarding the theme of his Restoring Honor rally two days before. Then on September 1st, Beck told a whopper of a lie that demonstrates beyond any questionable doubt that for Glenn Beck, nothing has changed. He is still a liar. 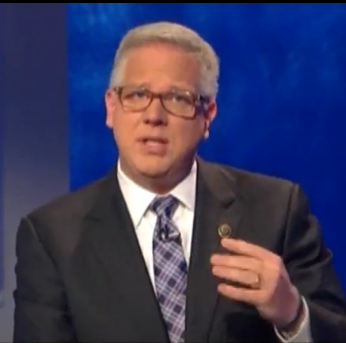 Metaphorically, Glenn Beck has not stopped piloting his slave ship; he is still "Captain Newton." 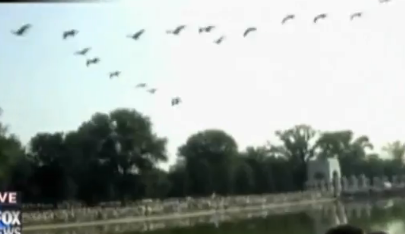 After playing the video of geese migrating over his rally site one minute before it began, Beck said, "I think it was God's flyover." "God's fly over:" message or warning? Beck then added, "I said that this would be a nonpolitical event. Here's another miracle; somebody actually kept their word." Agreed: given the number of times the theme of this event changed, from a book release event to reclaiming the civil rights movement to restoring honor; it was a miracle that Beck kept his word. However, did Beck restore honor? Given the abundance of his lies told in the months leading up to this event and the nine demonstrations of hypocrisy that he conveyed since April of this year; it would have been miraculous if Glenn Beck used this event to establish his honor. Unfortunately, Mr. Beck could not even refrain from lying during his restoring "honor" speech; and his outrageous lies continued on his show later the next week when Beck finally stopped talking about his event and turned back toward the propaganda for which his is reviled by his critics and adored by his gullible supporters. On September 1st, Beck made the following claim: "All the people around our President come from the same radical circle of 60's types." This statement is not just hyperbole; it is a blatant lie demonstrated by pointing to just one person around the President who was never near the "radical circle of 60's types." The Secretary of Defense, Robert Gates, a Republican carry-over from the Bush Administration, certainly is not a radical. The President's Chief of Staff, Rahm Emanual, was 11 years old in 1970. He and his brothers attended summer camp in Israel during the 60's. He has aligned himself with the centrist Democratic Leadership Council. So Radical! Not. One of the President's Senior Advisors, David Axelrod, was 15 years old in 1970. At age 13, he was selling campaign buttons for Robert F. Kennedy. Idealistic? Yes. Part of the radical circles of 60's types? Only in the mind of a liar or an idiot or both. Another one of the President's Senior Advisors, Valarie Jarrett, turned 14 in 1970. She graduated from a New England boarding school in 1974 and described her turn toward a public career as "desire to do something that would make the daughter proud." On what planet is this a radical ideal? The Glenn Beck Review could continue going down the list of people "around our President," but the point has been made. Beck is still lying to people who have come to trust him, gullible people unwilling to get on their computers and do a little fact-checking on their own. This Review will instead challenge them to provide a name of one person "around our President" who was involved with radical circles in the 60's. William Ayers is NOT "around our President." This Review would lose much credibility if Beck was depicted here as he is on the blog, Conservatives Against Glenn Beck. How The Daily Beck warrants respect is a mystery. Beck foments hatred and fear through lies and yellow propaganda. Despite that, Glenn Beck will continued to be depicted here respectfully. It is clear that Beck is still acting like the same dishonorable liar that he was before his Restoring "Honor" rally in Washington, DC on 8-28. Beck routinely lied before his rally, three times in the speech during his rally and continues to spew absurd lies on his Fox show. It would behoove Mr. Beck to stick with spiritual Truths that are a matter of faith and stay away from making statements that have no basis in reality. Beck's flagrant, provable lies only undermine his credibility as both a political commentator and as a supposed man of God.